Oil on canvas, 27 x 19 cm. 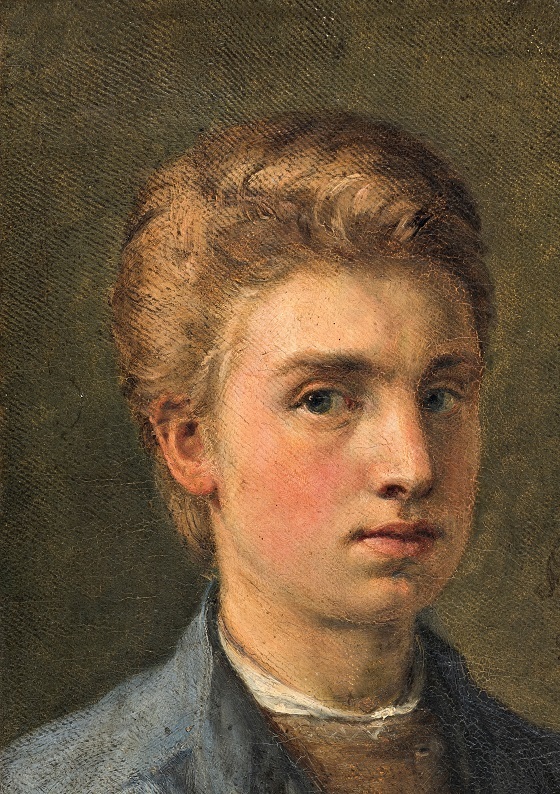 The young Holger Roed completed this self-portrait during his time as a student at the so-called Model School at the Royal Danish Academy of Art. Using a light colour palette, the artist has portrayed himself with a neutral facial expression, while a subtle light from the left side highlights the golden reflection of his blonde hair. As the son of the renowned Danish Golden Age painter Jørgen Roed, people had high expectations of the young artist. However, he would already begin to meet these expectations in the years following the completion of this portrait, where Holger Roed made a name for himself by first winning both the so-called small and large silver medals of the Academy and later the large gold medal. Even though his father was a portrait painter, Holger Roed chose history painting as his primary artistic metier.